The Spring rains bring a lot of mosquitoes, so does that mean we are all at greater risk for the West Nile Virus? And just exactly what is the West Nile Virus? Do we actually have to worry about the West Nile Virus in our neighborhoods? What governmental agency is monitoring the West Nile Virus in Collin County? According to the City of Allen's website, increased rains bring a species of mosquitoes known as "flood mosquitoes" and they don't typically carry the West Nile Virus. 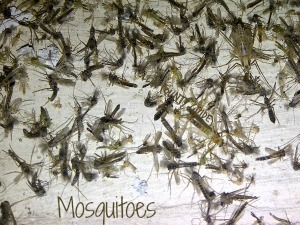 However, mosquito traps are monitored for any trace of the virus. You're at greatest risk of contracting West Nile Virus when you are outdoors, especially from dusk to dawn when mosquitoes are most active. So, if you're outside talking to your neighbor, attending a sports event, watching your child practice, or working outside, you could be bitten by an infected mosquito. 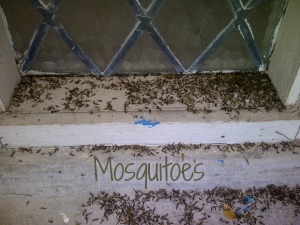 Note: Not all mosquitoes are infected with the West Nile Virus. And even then, your chance of becoming severely ill are less than 1%. There are simple prevention techniques you can take in your home and your neighborhood to prevent infected mosquitoes. We will share with you how to prevent breeding mosquitoes below under "How to Prevent Mosquitoes in Your Yard and Neighborhood." The Environmental Health Department in each city works closely with the Collin County Health Department to monitor mosquito traps for the West Nile Virus. Oh my gosh! I think I've been Bitten by a Mosquito! Could I have West Nile Virus? Don't panic. Even if you get West Nile Virus from a mosquito bite, chances are you won't even know it. According to the CDC, 70-80% of people who do become infected with the virus will never even know it. About 20% will develop a fever with other symptoms including a headache, body aches, joint pains, vomiting, diarrhea, or rash. Less than 1% of people infected may develop those serious illnesses we spoke about in the beginning of this article. It usually takes 2-6 days, perhaps as long as 14, before you'd experience symptoms. You don't need to call your doctor if you've been bitten by a mosquito, but you should call your doctor if you or a loved one has been bitten by a mosquito and experience any of the following symptoms within 2-14 days (sometimes a little longer): headache, high fever, stiffness in your neck, disorientation, coma, tremors, seizures, or paralysis. Are there any cases of Chikungunya in Collin County? Are there any cases of Dengue in Collin County? Are there any cases of West Nile Virus in Collin County? Are there any cases of Zika in Collin County? The simplest thing you can do is to look around for any standing water and eliminate it. 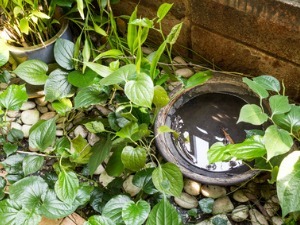 Look for gutters with standing water, stagnant bird baths, saucers under potted plants, buckets, watering cans, tires (don't forget the tire swing), wading pools, recycling containers, and swimming pool covers. Chlorinated water in pools and fountains are not mosquito breeding grounds unless the chlorine is not maintained. The CDC recommends a 5x5 program, which essentially means to encourage your five neighbors to your right and to your left to also check for stagnant water. Realistically, we are all going to spend time outdoors enjoying the summer weather. After all, that's why we wait for summer all year! So what can we do to protect ourselves? Your greatest risk of being bitten is when the mosquitoes are most active, from dusk to dawn. You'll avoid mosquito (and fire ant!) bites on your feet if you skip the sandals and wear tennis shoes and socks. Wear long pants (or at least longer shorts), and long sleeved shirts when mosquitoes are most active. They may bite right through your clothes, so you'll want to spray DEET, picaridin or oil of lemon eucalyptus on your clothing and exposed parts of your body. The United States, State of Texas, Collin County, and your local city or township all provide resources and information on the West Nile Virus and other mosquito-born illnesses. If your community is not listed, contact the Collin County Health Department.